The opportunity to exchange ideas and gain understanding should never be compromised by issues of safety and school security. C&CC recognizes the unique security, budget and infrastructure challenges faced by educational institutions. And our solutions provide a safe environment so students and staff can focus on what matters most – learning. 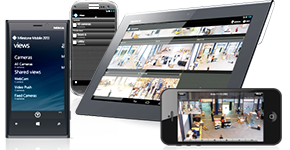 Today’s video security technologies are ideal for the demands of campus environments. From single-building complexes to multi-facility institutions spread over tens of branches, C&CC delivers reliable, high-quality, cost-effective solutions that meet your specific school security. Importantly, perhaps no other market is moving faster toward the implementation of network-based video security. And C&CC is right there every step of the way with the broadest selection of IP cameras and network-based video management systems.